Mario Kart Tour was mentioned and was being delayed until summer to enhance the quality of the game. Dr. Mario World was also announced and is expected to release on iOS and Android during Summer 2019. We have the overview of the meeting below. 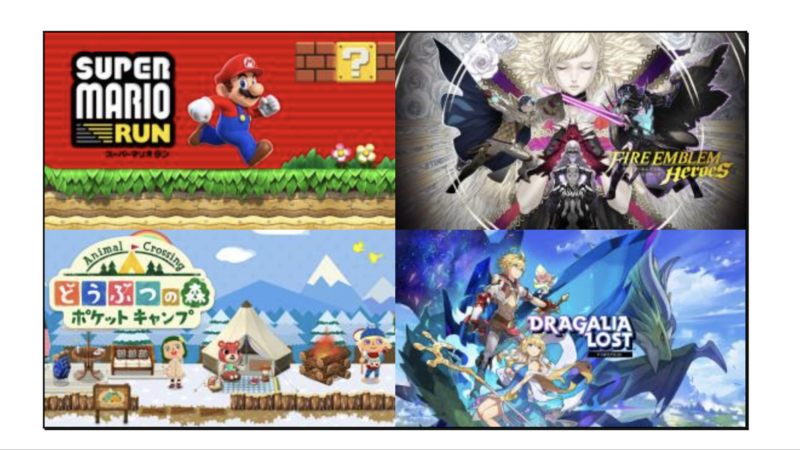 In the mobile business, it is of course important to find the right playstyle for smart devices, but we also want to use the overwhelming volume of smart devices to increase the points of contact between Nintendo IP and consumers all over the world. To increase the profitability of the mobile business as a whole, we will maintain and expand services for existing titles while developing new ones. To that end, we plan to proactively drive and discuss partnerships with other companies to utilize their various strengths. Our goal in doing so is to make sure consumers around the world are able to continue playing Nintendo entertainment. We use events, major updates, and other methods to ensure that consumer continue to enjoy our existing applications. Fire Emblem Heroes is almost completely localized into Portuguese, and will be released in the South American market. Likewise, Dragalia Lost will also be newly released in English-speaking countries such as Canada, UK, and Australia. As we announced yesterday, we are now targeting a summer 2019 release for Mario Kart Tour in order to enhance the quality and expand service contents, such as in-game events, after its release. We will announce further details at a later date. And today, we announced our collaboration with LINE Corporation in the smart-device application business. Under this collaboration, we plan to release Dr. Mario World in early summer 2019 for the global market, including Japan and the United States. We will continue actively considering partnership opportunities with other companies if we come across good proposals. In the mobile business, we aim to create contact points between Nintendo IP and consumers all over the world through multiple applications and to achieve our overall company goals such as business scale expansion.